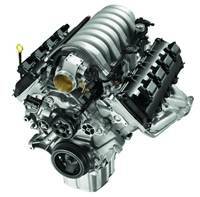 Why Buy Mitsubishi engine from us? When searching for a replacement Mitsubishi engine, one needs to keep these things in mind; the quality of the engine, supply & fit services, warranty and delivery. Fortunately at Garage 777 we offer all of these services under one roof. In our state of the art garage, we have quality used and reconditioned engines at the lowest online rates. We have a fully equipped modern garage. We can also recover your Mitsubishi from anywhere in the UK, fit a quality engine and delivering it back to you; all done within no time and without any delay. For huge savings, free online quotes and best quality Mitsubishi engines of all types of cars, vans and trucks contact us now. We have top quality replacement engines for all petrol and diesel Mitsubishi models so simply enter your reg number to search our engine inventory which is updated regularly. Our experts inspect and test all second hand and remanufactured engines to make sure every unit is in a proper working condition. For your peace of mind we add free warranty to all our engines.